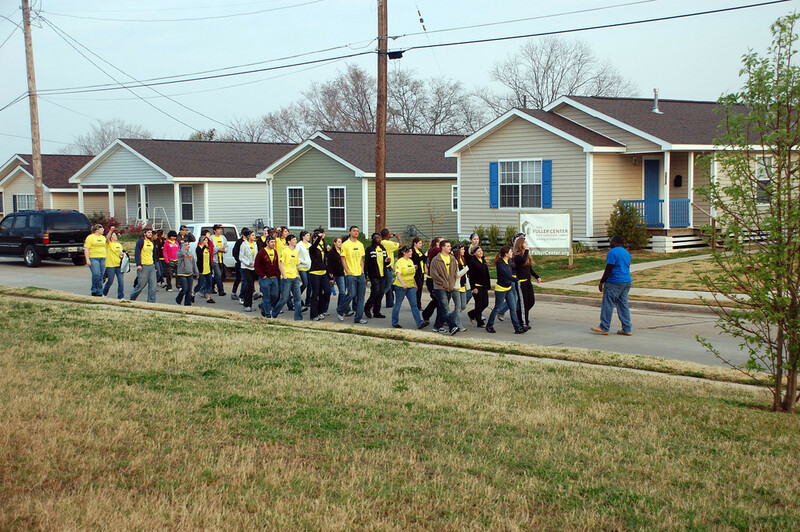 The legacy of Glen Barton’s work with The Fuller Center for Housing can be seen in homes across the nation, but perhaps nowhere is it as evident as in the once-blighted, but now transformed community of Allendale in Shreveport, La. 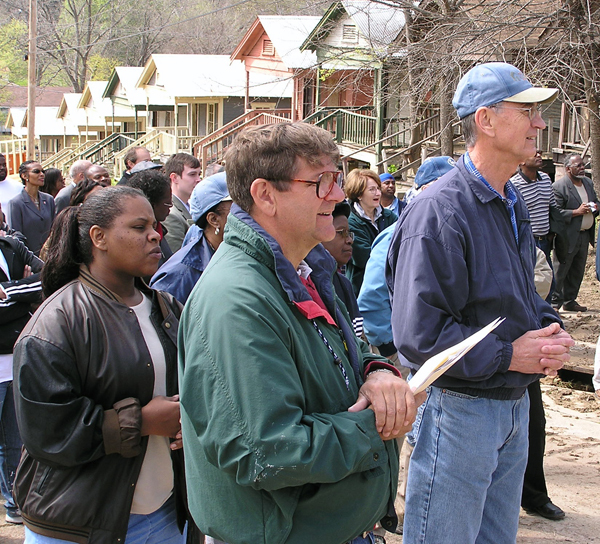 In 2005, shortly after The Fuller Center for Housing was formed, founder Millard Fuller was asked to help alleviate a housing crisis in Shreveport, La., to which many Hurricane Katrina evacuees had fled and subsequently settled in the storm’s aftermath. “We went down to Shreveport, Millard and I, to see what we could do down there, and we figured we needed somebody on the ground,” Snell said Monday after returning earlier in the morning from a trip to the Democratic Republic of the Congo. “At that point, we didn’t have covenant partners and we didn’t have organization. We didn’t intend to build houses. Allendale launched Barton into the role of Vice President for U.S. Field Operations, the position he held until he died unexpectedly Aug. 14 at the age of 61. Through the building of dozens of new homes and rehabilitation projects, Allendale went from an area where police advised The Fuller Center not to work to one where major crime has dropped by upwards of 80 percent since 2005. But what Allendale ultimately did was serve as the springboard for The Fuller Center’s covenant partner network across the United States. It was Barton’s combination of experience, particularly in the banking industry, and tireless efforts that led to his success in establishing the covenant partner network. “Glen was a hard working guy,” Snell said. “He just worked night and day. He was totally dedicated – he was dedicated to Millard, and he was dedicated to the cause. Barton helped each covenant partner get off the ground, providing guidance in incorporating, becoming a 501(c)(3) and partnering with The Fuller Center. He and Brenda then helped maintain the network, helping partners with organizational issues and communication, among other things. Now, The Fuller Center for Housing and its partners must march forward into a future without Glen Barton, furthering the mission of helping people obtain safe and decent homes. Survivors include his devoted wife Brenda, son Brian, daughter Jennifer, daughter-in-law Lisa, grandson David and sisters Dr. Jane Weddington and Emogene Poynter. A remembrance will be held at 12:30 p.m Friday, Aug. 26, at The Fuller Center for Housing headquarters, 701 S. Martin Luther King Blvd., in Americus. Friends, family and colleagues are invited to come and share their memories of Glen Barton. The service will end promptly at 1:30 p.m. At 2 p.m., an internment service will begin at Andersonville National Cemetery, located about 12 miles north of Americus on Highway 49. In lieu of flowers, Brenda Barton has asked that memorial contributions be made to the 2011 Millard Fuller Legacy Build, c/o The Fuller Center for Housing, 701 S. Martin Luther King Jr. Blvd., Americus, GA 31709 or www.fullercenter.org/donate. Click here to view a photo slideshow of Glen Barton’s work with The Fuller Center. Read more of David Snell’s thoughts on Glen Barton on the President’s Blog.